Can fans ride a stage of the USA Pro Cycling Challenge? Are you coming to Colorado with your bike? 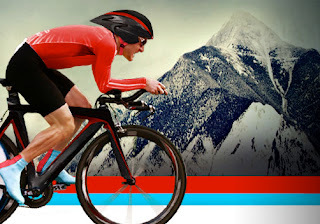 The USA Pro Cycling Challenge is happening in Colorado, August 22-28, 2011. Time to finalize your plans to attend. Chances are you are thinking about bringing your bike (and fishing pole, and hiking shoes, kayak, canoe, tent, and all your other weekend warrior toys). What are your options for riding while seeing the Pro Tour in Colorado? Please also see What's happening around town - for a list of additional local races and special events in each host city in conjunction with the USAPro race. 2. find a person willing to drive sag support, so you may ride sections of the stage routes while moving cities. Prologue: cycle between the start in Garden of the Gods and the finish in down town (but not on the race route). Stage 1: ride from Salida up Monarch Pass. You can complete this entire stage route to Crested Butte by bicycle with sag support. Or ride from Gunnison to Monarch Pass. Or ride from the town of Crested Butte up to Mount Crested Butte (3 miles uphill) the only mountain top finish in the Tour! Stage 2: ride up Cottonwood Pass, or ride up Independence Pass. Entire route discouraged, but possible for both very fast and experienced cyclists only. Stage 4: you can complete this entire stage route by bicycle, with sag support. Or ride from Vail to Avon and back. Stage 5: ride up Rabbit Ears Pass, or ride up Swan Mountain Rd near Frisco, or into the town of Breckenridge. Stage 6: ride up Lookout mountain, or ride your cruiser bike to any other area along the route or into downtown Denver. *Please note that race route roads will have rolling closures. Sag support vehicles may not be able to accompany their cyclists at every point on the stage. Mountain passes will experience full road closures hours before (Independence Pass) or even the night before (Cottonwood Pass) the race. In Colorado we have long mountain roads in between the start and finish towns, with no side road options (where bear, elk and mountain lions live). Thwarting your effort to get from the start to the finish in the same day during race times, will not only be mountain passes, rivers and wild beasts, but policeman, road closures, and bike racers who are a lot faster on a bike than you are - like George Hincapie (and maybe the wildest beast of them all - Jens Voigt). Even if they open the roads after the race passes through, you will not beat George to the finish line in time to see him and his peloton cross the line. You will be more concerned with getting there by dark. When riding in Colorado, safely estimate 14-16mph, as your average ride time to allow for stops, regrouping, picture taking, weather, finding water (no domestiques) and food (no feed zones for you). Add in our famous altitude as an explanation for slower climbing speeds, and you realize why it is geographically and physiologically improbable to do it all. Weather in Colorado: Mountains - Cool nights (40-50s) colder on the high passes, crisp mornings, bright clear sunburn hot mid-day temperatures (70-80s), afternoon rain showers, great evenings. Denver (80s-90s) hot. Booking it in Colorado will achieve 18-19 mph for an amateur (the fully supported pros average 24-26mph), standard cyclists will be 13-14 mph. You have the dirt climb of Cottonwood Pass (slower speeds), and then Independence Pass, which comes at 110 miles into the route of Stage 2. Allow 6 hours at booking it and 9 hrs at standard speed to get to this point, plus more time to gather water and food. Allowing for race and road closures you are looking at a 9-12 hour day and some stretches with no source for water. The sun will rise at 6:19am, and set at 7:41pm. Stage 4: between Avon and Steamboat Springs has very little services or population in the miles between these two towns. 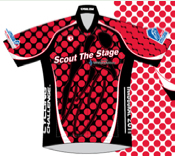 If you plan to ride the stage you will definitely need sag support for water. It is best to leave early in the morning to begin your 82.8 mile ride to Steamboat Springs. After about 5 hours on your bike you could arrive into Steamboat in time to see the finish. Either chase the tour everyday, or stay for 2 days in the same town watching a finish, start and taking in a bike ride. See more itinerary examples and suggested bike rides in the area near each stage of the tor on the PedalDancer.com race fan information page. Happy riding! Also see all the events planned for the fans by each community (Gunnison and Crested Butte get a gold star!) What's happening around town?